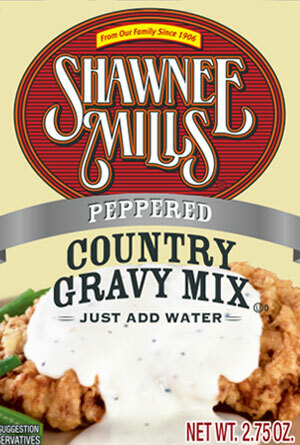 Our wonderful country gravy mix with pepper added for extra flavor. Simply add boiling water to this mix for gravy perfect over chicken fried steak, biscuits and other favorites. Shipping included in purchase price. Choose either a case of 24 – 2.75oz packages ($28.50) or 75 – 2.75oz packages ($64.00).